Posted on June 13, 2017 at 7:45 am. Your HVAC unit in Longview, TX should never let you down. Keep your comfort system in tip top shape all year round with these easy maintenance tips. Cleaning your air filter regularly is an important air conditioner maintenance chore. When your air filter becomes clogged with dirt, dust and other particles, airflow will be affected. While cleaning is a simple DIY maintenance task, expert HVAC contractors recommend filters to be replaced every month especially during high seasons to maintain top efficiency of your unit. Evaporator coils can be breeding grounds for mold. Be sure to clean or disinfect the coils using a half-water, half-bleach solution. For your safety, be sure to turn the power to the unit off when cleaning. It’s equally important to check your outdoor condenser coils, too. Clean up standing water near the all intake vents. Wipe up water because it can be a potential ground for mold. Mold buildup can become very problematic. It can cause premature wear and tear on your HVAC unit which can prompt you to pay for unnecessary and costly repairs. Fans can easily collect dirt which can reduce airflow and performance of your comfort unit. Turn off your unit before inspecting the fan for dust and dirt. Wipe it off using a damp cloth. Be sure that your thermostat is working properly when it comes to keeping your indoor space at the right temperature. For homeowners with older models, you might want to upgrade to a programmable thermostat. Grass clipping, dirt and the like build up on the outside of the unit overtime. As a result, your unit may lose its cooling capacity and reduce airflow. Clean the debris using a garden hose, not a power washer. Hire a certified HVAC technician. Have your unit inspected by a professional HVAC technician every year. It’s best for homeowners to sign up for a regular maintenance plan as well in order to keep their systems away from trouble. 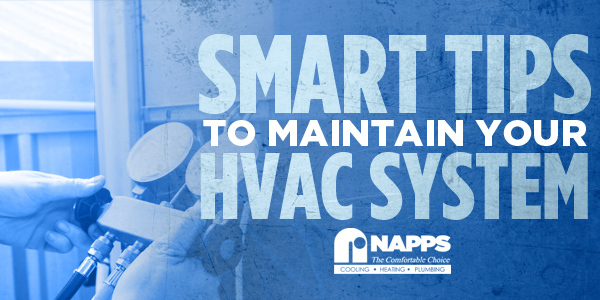 A trusted HVAC company can provide the best maintenance program to keep your heating and cooling unit in great shape all year long. 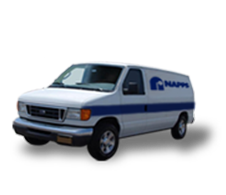 To learn more about HVAC maintenance in Longview, TX, Napps would be more than glad to help.